For seven years I’ve lived near the River Wandle and recently decided to walk the 13 mile Wandle Trail along its length. You may have read the blog posts about it, posted as part of Wandle Week. But how to end our Wandle celebration? Personally at the end of every walk I like a beer to reward myself. But what has a river got to do with beer? Actually the Wandle does quite well on the beer front and our ale based story takes on three different breweries – quite a lot for a mere 9 mile strip of water. And our tale starts in Ascot. If you’ve been following this series closely you will realise that Ascot is not on the Wandle. But that’s all right because Ascot Ales are based in Camberley and that’s about 10 miles from Ascot. And if you’ve been following this series closely you will realise that Camberley is not on the Wandle either. So what has Ascot Ales got to do with the Wandle story? The answer lies in one of the beers the brewery produce: Market Ale. 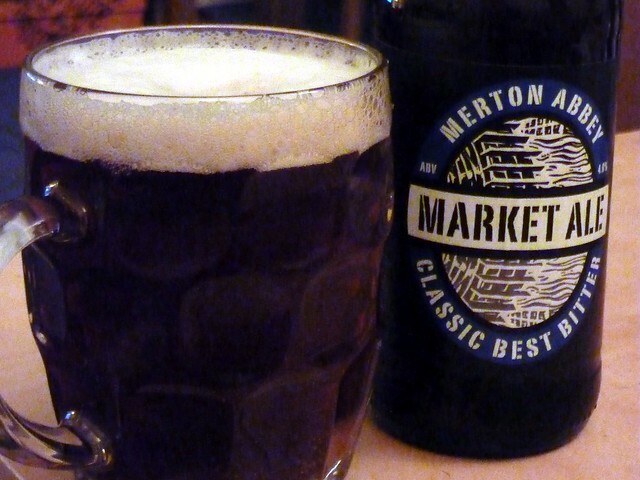 Market Ale is only sold in two places in the whole of the country. It’s sold on tap in the Trafalgar Freehouse, just a short hop from the Wandle in South Wimbledon and known to its regulars as The Traf. A classic session bitter, it was first brewed in October 2010 at the request of the Traf’s landlord and was named after a certain Merton Abbey Mills market and it’s at the market where the beer gets its second outlet. Every weekend Market Ale is sold in bottle conditioned form at Keith Cook’s Farmers’ Market stall. Photo by James Cridland. Creative Commons license. The Sambrooks brewery is in Battersea. You might also notice that Battersea is not on the Wandle either, but hey, it’s a lot closer than Ascot! Or Camberley for that matter. 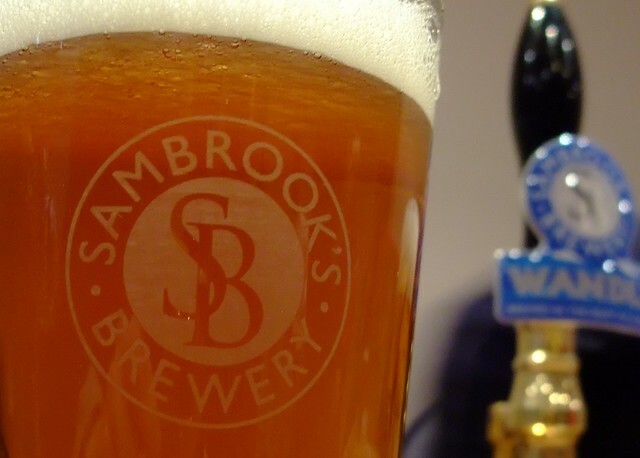 Sambrooks was founded in 2008 and their first ale was named after the river which flows just a short distance from their brewhouse. It’s got to be said that the Thames is far closer to them than the Wandle, but hey everyone knows the mighty Thames and not everyone knows about the Wandle. At 3.8% and with a lovely golden colour and a fine quaffable flavour the beer named after a river is a lovely drop and is rightly finding a home on many a bar in the capital and no doubt beyond. And, of course, that also means it’s giving free publicity to our little river too. So far none of our Wandle related beers were brewed on the Wandle. And that tale isn’t going to get better with Youngs either because their beer comes from Bedford. But as anyone who knows their beer history knows, that wasn’t always the case for until 2006 Youngs were based quite firmly in Wandsworth. The Ram Brewery had buildings on either side of the river and for decades the Wandle sat alongside the production of Youngs Ordinary, Special and a host of other concoctions from the company. 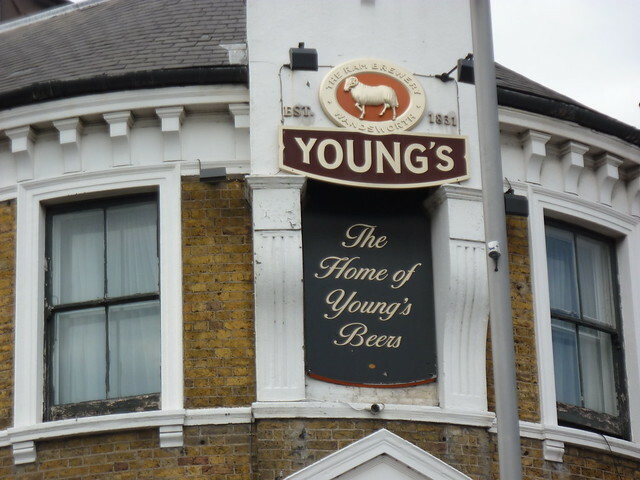 Not that, as far as I know, Youngs ever played up to its Wandle connections and nor did the Wandle play much part in ale production – the brewery water originally came from a well, not the river. And now the brewery buildings are empty and unloved. The whole site is up for redevelopment. The original plans stalled due to planning issues, and the whole derelict buildings are now sat waiting for new plans to be finalised. But whilst Youngs have gone, brewing does still continue on the Wandle. When Youngs moved out of the Ram, its new owners decided that whatever redevelopment happened, brewing would be part of it. There would be housing and shops, but there’d also be a brewing museum and a either a micro-brewery or a brewpub. But when Youngs moved out, brewing could have stopped – that heritage could have been broken until the site was redeveloped. New owners Minerva had a plan. They hired a former Youngs Brewer, John Hatch, and cobbling together bits of equipment (including a tea urn) set up a small, very temporary brewery in the former Youngs laboratory. 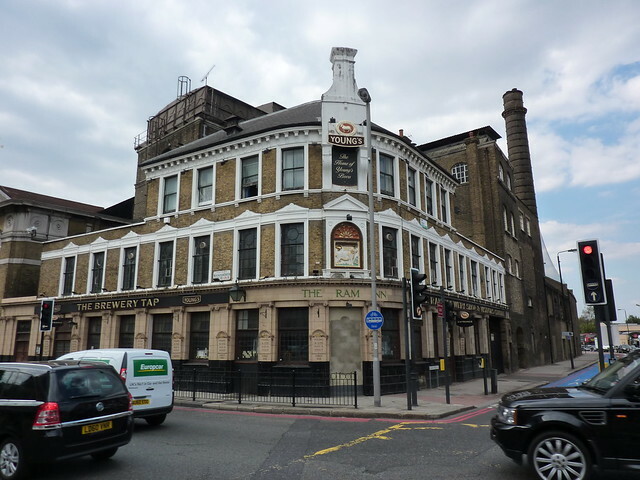 You won’t be able to find the beer in any pubs – Youngs’s contract with Minerva stated that no commercial brewing could happen on the site for 10 years (presumably unless they were involved!) however that wouldn’t stop uncommercial brewing, and that’s exactly what happens. The beer brewed now at the Ram is drunk mostly by Minerva staff and paid for by people donating money when they drink it. It’s all very small scale stuff but amazingly it pays its way and the plan is that brewing will continue until a more permanent concern is finally built. The big guns may have gone, but brewing most certainly continues on the Wandle. And for a small river tucked away in South London, it’s a river that is more than celebrated by beer. And I think that’s something we can all lift our glasses and say cheers to indeed. To the Wandle! The river of beer.